We are excited to introduce our clients to the OraStrip Quick Check Canine. OraStrip Quick Check Canine allows us to identify periodontal disease, either visible or microscopic, within 10 seconds of use. OraStrip has the ability to detect the specific bacteria that cause periodontal disease before clinical signs appear, allowing us to take action and prevent further oral disease and decay. By running this small strip of paper along the dog’s gum line, we can sample the bacterial content in the saliva and compare the paper’s color change to the color scale. This simple test can help the owner and veterinarian formulate either a preventive maintenance plan or a treatment plan to avoid further illness caused by periodontal disease. 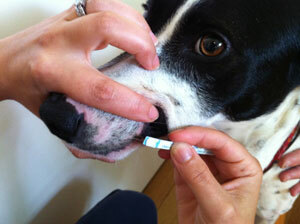 Once the sample has been collected, we remove the strip from the dog’s mouth and wait 10 seconds before reading the result. While holding the strip near the colors shown on the comparator card color chart, we will determine and record the number of the color closest to the color on the pad. If the color is not uniform, Dr. Frank will base his decision on the most intense color seen on the pad. Dr. Frank will then interpret the results, knowing your particular pet. In general, a numerical result of 1 or above is associated with active periodontal disease, while a score of zero is not associated with active periodontal infection. 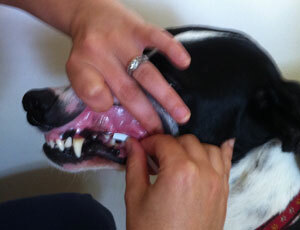 For dogs with a history of periodontal disease, a score of zero reflects favorable ongoing management. Remember, the mouth is the gateway to the body, and disease here can often lead to disease elsewhere in the body. Prevention is the best medicine. If this test is something you are interested in, please let us know. We can perform it right in our office at a minimal cost. 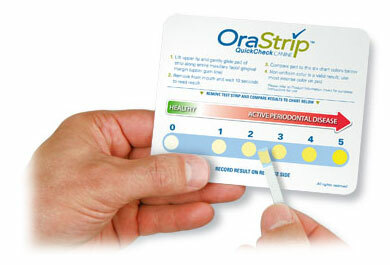 If you are not in the Monroe/Seattle area, ask your vet if he or she uses the OraStrip. 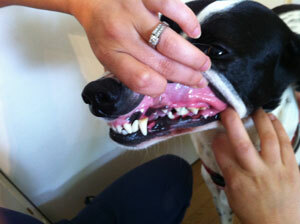 This entry was posted in Dogs and tagged canine teeth, dog, dog vet, dog's teeth, periodontal disease in dogs. Bookmark the permalink. Wow, good test. I’ll find out if we can do this or get this for Bandit. He is doing well with the chew bones and his teeth and gums are clean. Thank you for writing this informative post about OraStrip. A large part of our goal here at PDx BioTech for OraStrip is to educate dog owners about the dangers of periodontal disease and to provide them with a quick and easy-to-use method of detection. Optimally, this will result in more cases of early detection. Early detection, after all, is important in patients with healthy-looking mouths, at a stage when irreversible disease is preventable. 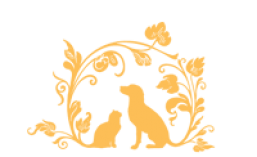 It is blogs like this that aid our education efforts and hopefully save more dogs from experiencing the pain of periodontal disease. Thank you again.